Last month I did a lot of work with my program ShixxNOTE. I wanted my program to be listed in a Ready For Windows listing and to be Windows 10 compatible. I pay about 20 USD to be Microsoft Developer and I get access to Microsoft Dev Center. I must say that Microsoft support is really great. For my program I got two Microsoft support technicians. Program one issue was to put ShixxNOTE program on Ready For Windows listing. I got support from Microsoft, his name is James Taylor. He guided me just for this program. I had to put Windows 10 Compatible Support Statement on my program site. So I added one more item in site menu, named it “Documents” and write there statement. I put Windows 10 Compatible Support Statement on my new web page and also I added link to PDF file which also contains same statement. After I did what James told me to do ShixxNOTE was added to Ready For Windows list. You can see this on picture below. There are two results. 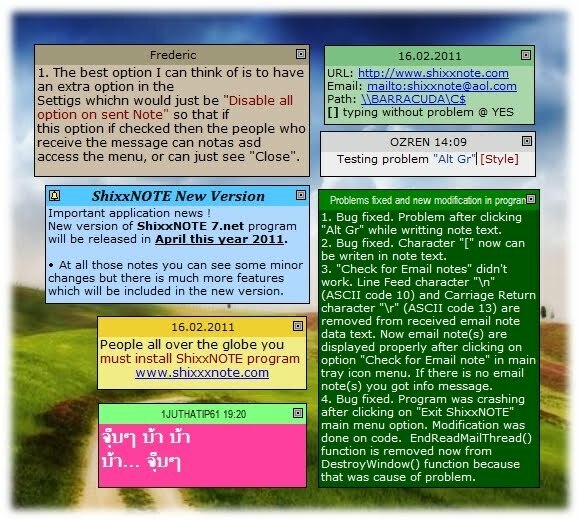 One is ShixxNOTE as Desktop app and second is ShixxNOTE as Universal Windows App. Second program was complex so I got support from Matteo Pagani who is Windows AppConsult Engineer. If I didn’t have him to lead me I would never gain Windows 10 Compatible logo and also made a new package for my program. That package story is long so I will just tell you that you must be patient and read a lot of help documents. I converted my MFC application written in VS C++ 6.0 to new Universal Windows application. That took me a week. Matteo Pagani helped me a lot. So I must say thanks to him. Matteo Pagani wrote me about 10 emails till I finished. Every question I asked he answered me promptly. I had to change my original C++ source code also prepare assets for my new ShixxNOTE package. On the picture above you can see that ShixxNOTE is Approved for directory and Approved for logo. For me it was a journey. I learned a lot and finally I got Windows 10 Compatible logo. Here is the logo which I picked from few different ones. 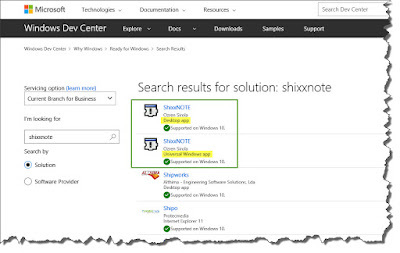 ShixxNOTE has been tested to be Windows 10 Compatible. Only Windows 10 Compatible software has passed tests for compatibility on devices running the Windows 10 operating system. Windows 10 Compatible products install without worry and run reliably with Windows 10. 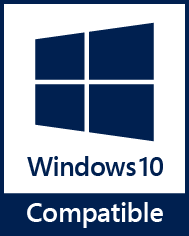 Is tested by you for compatibility on Windows 10. Passed tests to minimize the possibility of crashes, hangs, and reboots. Represents a commitment by you that the product will continue to work over the life of Windows 10. Ensures compatibility with Windows 10, both 32-bit and 64-bit editions. ShixxNOTE new application is now in submission process with all needed issues completed. I need to wait 3 days max. 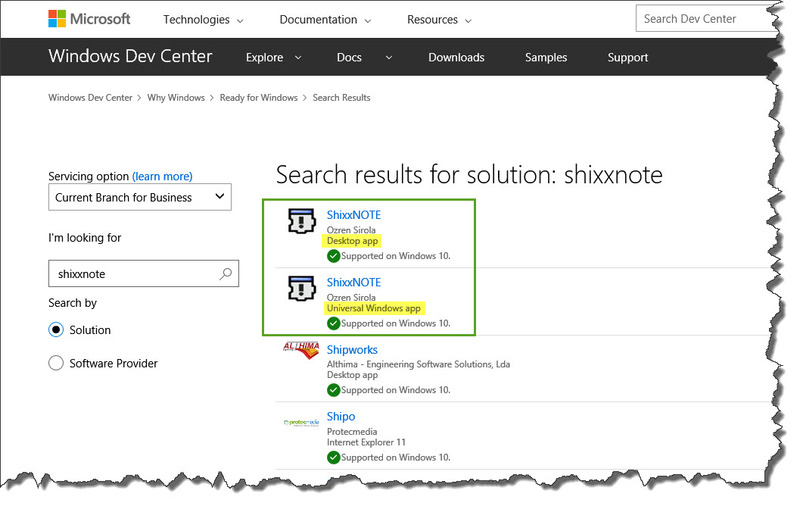 But I done everything correct so when they approve my submission you will be able to download ShixxNOTE directly from Windows Store. For now this is enough.